Enjoy the control and power of a Pan & Tilt(PT) camera with the convenience and clarity of IP technology from virtually anywhere. It is effective in areas where active surveillance is required, ideal for high placement in a building overlooking parking lots, entrances, stadiums, play grounds, courtyards as well as perched high indoors overlooking gathering areas, warehouses or long aisles. 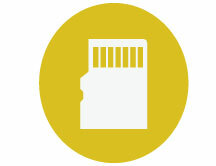 The Smartlink setup was been developed for everyone regardless of technical knowledge. The quick setup and great feature set are perfect for any one. Setup is a breeze. 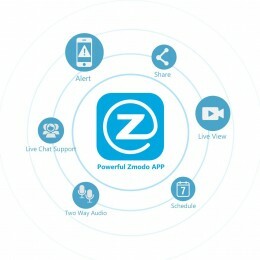 Plug the camera into power, download the Zsight app, and create a free account. Connect to your WiFi network and name your camera.You’re ready to begin live streaming! 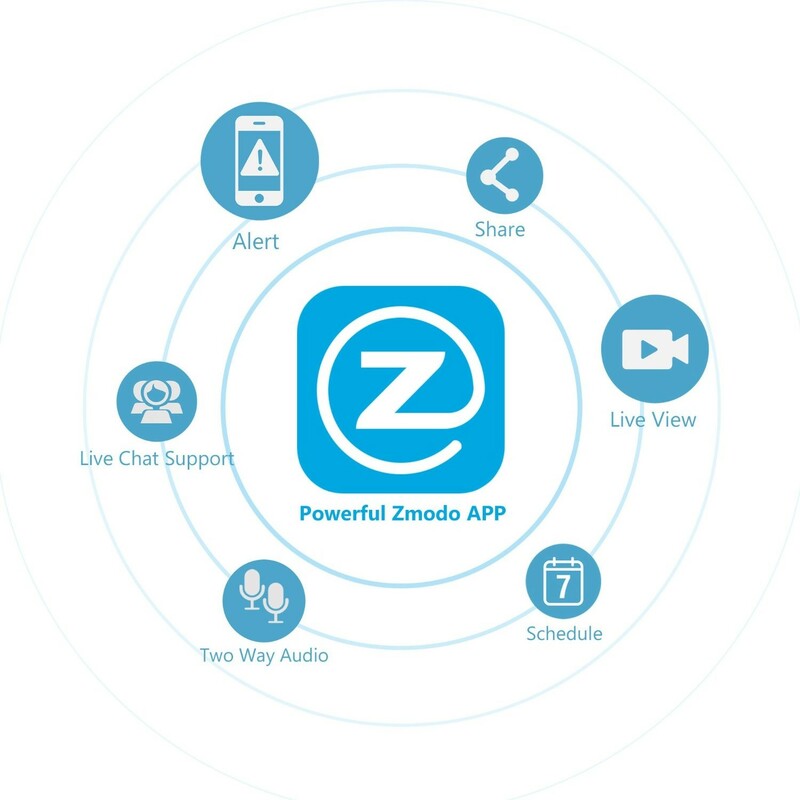 Zsight allows you to capture photos, record video clips, view playback, receive push notifications, share your devices, and more. 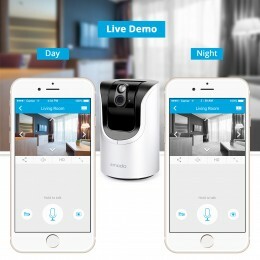 To make home monitoring a truly simple experience we upgraded the Zsight App and created a web client interface, giving you access to your live camera feed from any Internet-connected computer or mobile device. 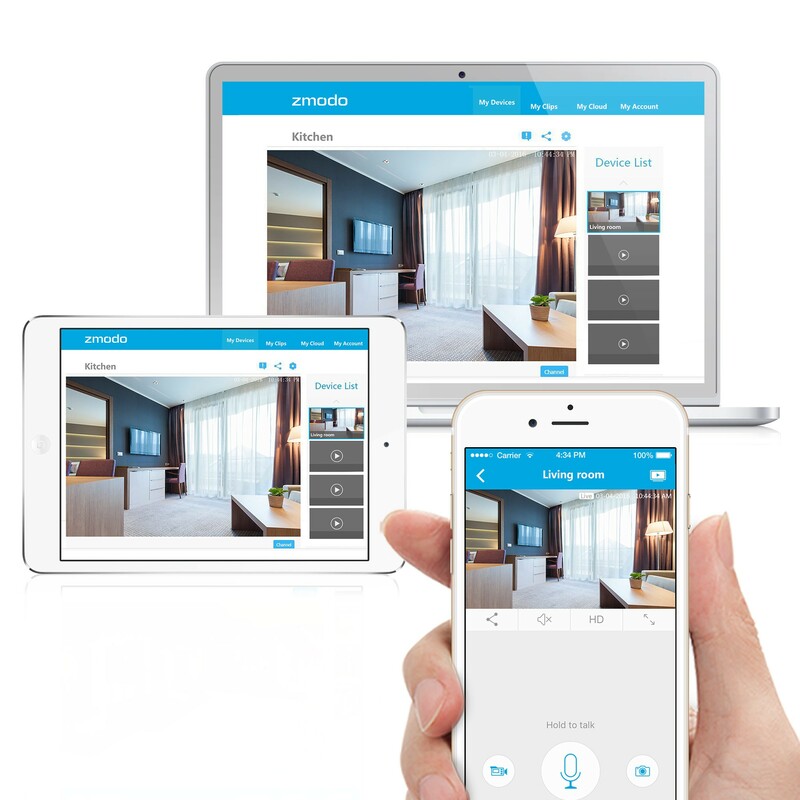 This PT IP camera can work with multiple devices simultaneously via the Zsight App. 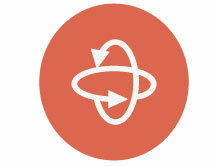 Control the rotation to left or right, up or down, even from miles away. You can also access the video feed from the Meshare web client (user.meshare.com) on most browsers. 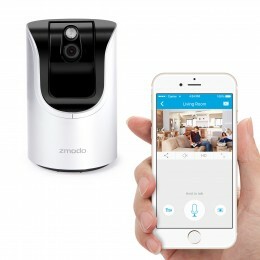 This IP camera supports two-way voice communication through mobile devices. 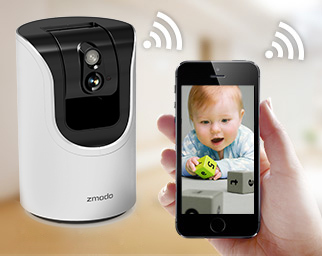 Keep an eye and ear on your child anytime, from anywhere. 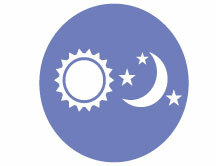 Listen or talk to them via two-way audio when your baby cries. 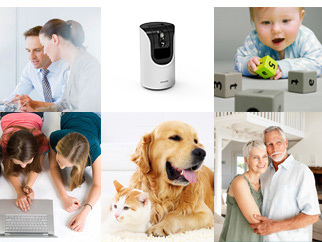 Monitor your pet and its daily activities. Listen in and even reply with your own voice. 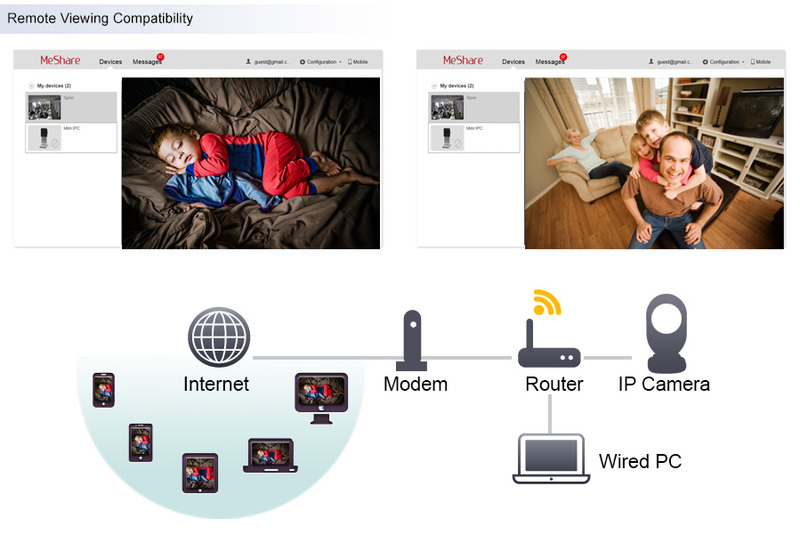 Capturing high-definition IP video in crystal clear 720p with a resolution of 1280 x 720. 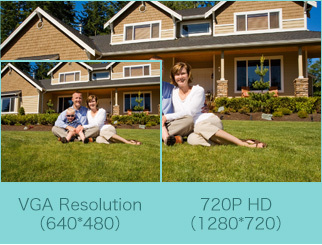 Every pixel is shown at its original size, and there is no grainy distortion--only crystal clear high-definition video. With easy pan & tilt control, you can see more of your rooms, pets, and kids. This means you can save money by installing fewer cameras while still capturing the entire scene. 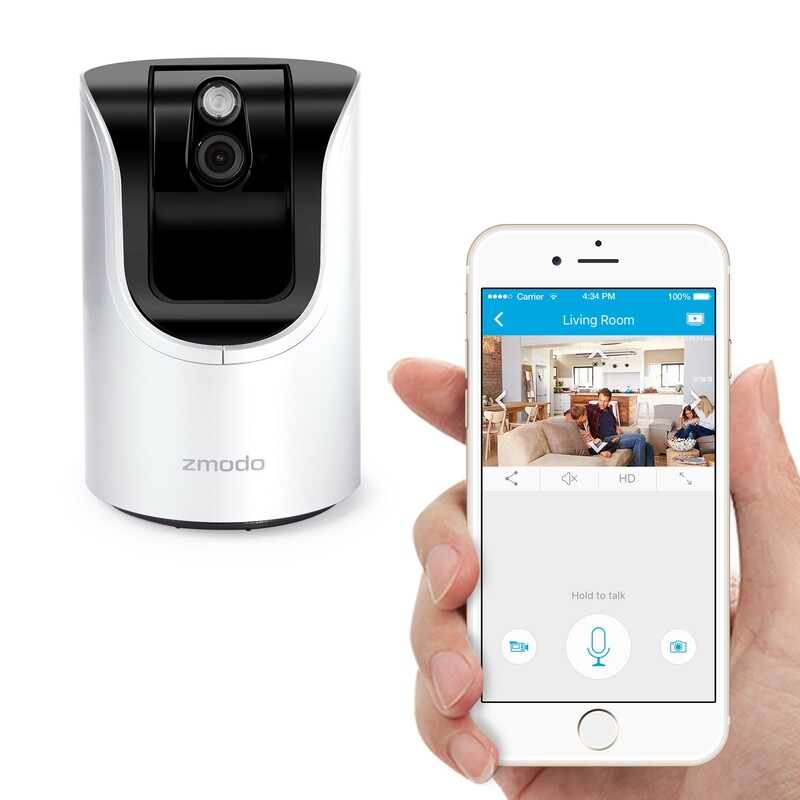 Get rid of those motionless videos and maximize available memory with motion activated recording and H.264 compression technology. 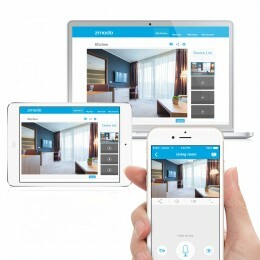 You will be able to record more valuable moments. 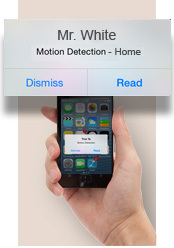 Target vulnerable areas like doors and windows by specifying up to 100 distinct motion detection zones. 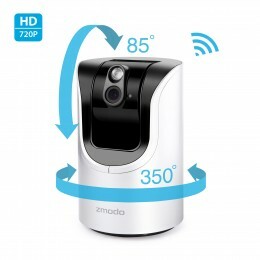 The IP camera will trigger an instant alert once motion is detected—and begin recording automatically. Remotely pan and tilt live video and keep an eye on a larger area. View up to 26 feet in complete darkness with LED Array. 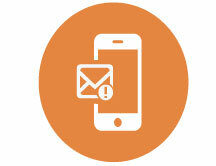 Get push notifications on your smartphone so you know as it happens. 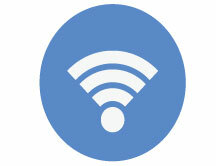 Connect to the internet through WiFi and get rid of messy Ethernet cables. 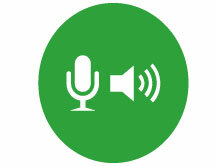 Talk and listen to pet and people via built-in mic and speaker. 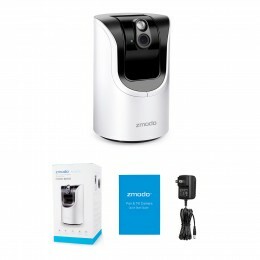 Have the option of saving footage directly to your IP camera. Supports up to 64GB.